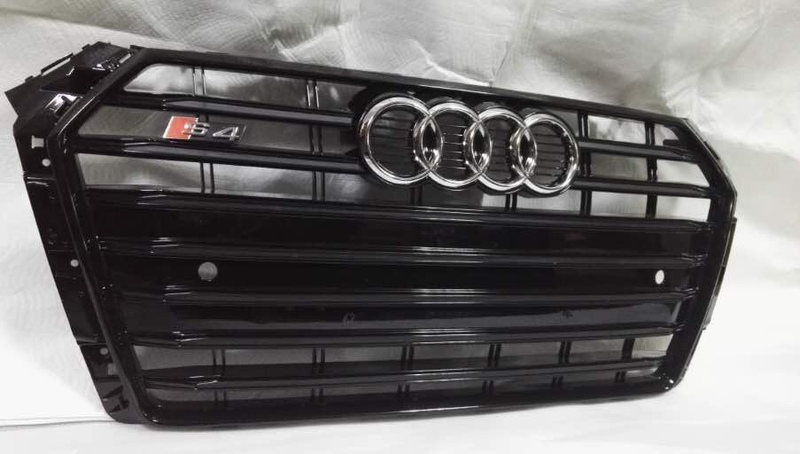 where is best place to get a genuine or very good copy black edition grill from for my saloon b9 S4? I was toying with selling mine now that I've got an RS style one on but think it's probably best to keep hold of it... You do need to take the bumper off to swap them out, I did it in about 2-3 hours on my first go. Definitely have a friend to help though. I'll find some pictures of a Chinese version from the same supplier I got mine from and post below. This is the one and I believe is £275 delivered. If you’re interested just PM me your number and I’ll put you in touch with Ozzy who sorted mine and runs an RS style one on his new SQ5 as well. Hi mate. Believe is the same guy? You happy with the quality of yours? Also, would you please also PM me their details. I have finally managed to convince myself and change it on my S4 as well. I don't think that it's the same guy because my lad just started dealing with them fairly recently. The quality is good, it seems to be moulded ABS plastic but is nice and strong and I had no fitment issues at all. Just PM me your number and I'll pop you his so you can chat with him and see how much it'll be for yours. It's a B8.5 you're looking for I presume? Cheers mate, I will send you my number and let him have it. looks good quality from the pic, any idea how much a genuine one is? Not sure for our cars but a friend got a quote for £700-ish for an RS3 8V grill so I can’t imagine you see any change from £600. It’s not that bad really if you’re vaguely happy on the tools. If you look for the RS grille thread it’s got a link to a guide for doing it and you can see what you think.